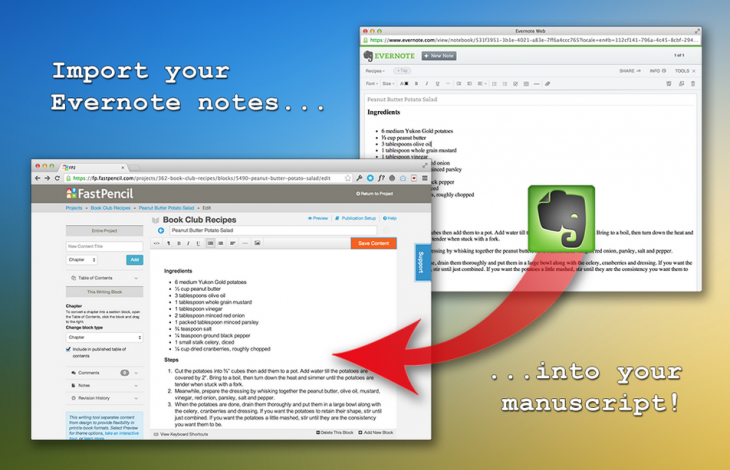 You know that incoherent jumble of notes you’ve been quietly working on in Evernote? Well, now it’s even easier to publish it as a book, through a new integration with self-publishing platform FastPencil. Now you have one less excuse for procrastinating on that half-written novel you’ve been sitting on.